I’m in the midst of some dream readjusting right now, and my mind wandered back to this post I wrote several years ago. I had a nice little chuckle at myself because even though I now live in a ‘cool place’ and actually work with some refugees, I’m still facing the realities of readjusting dreams. Since my time to write has been a bit limited recently, I thought it would be an appropriate throwback post to share for all the other dream readjusters out there. Then, surely I would be able to saunter down the street in my funky attire and be known as someone who ‘does something worthwhile’. I also am a bit partial to being known as ‘one tough cookie’, but that doesn’t sound nearly as humble. But, alas, the plan didn’t work. I live in rural Indiana, drive my kids around in a mini-van, and teach part time at a Christian college – none of which have ever made my ‘cool’ list. I used to live in Washington,, DC, where my husband and I enjoyed spending warm afternoons on the National Mall or hiking around the Potomac River. When I first moved to Indiana, I desperately missed the ‘coolness’ factor of being able to tell far away friends that I’d walked by the White House or attended a peaceful protest/prayer walk past the International Monetary Fund, World Bank, and Capital Building. I mean, it doesn’t pack near the punch to say that you drove by a barn/tractor/cornfield or attended a hymn sing at church on Sunday night. 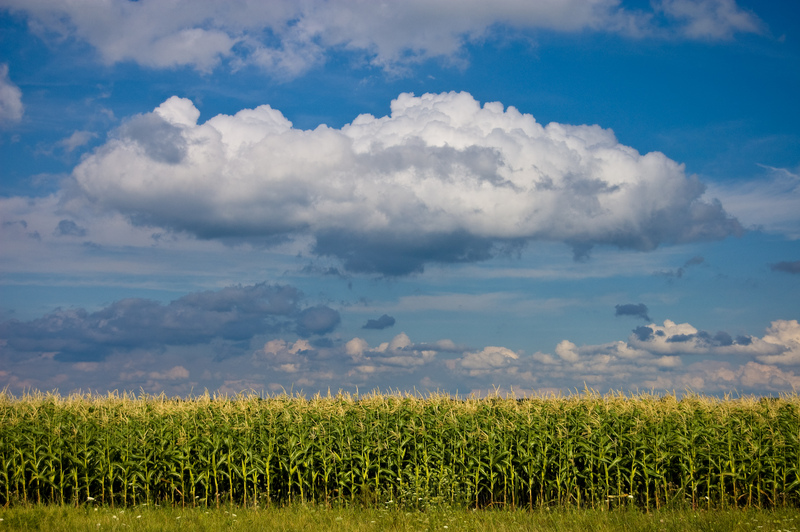 While cornfields in early summer are indeed a sight to behold, they simply lack the impressive aura of the Atlantic coast or the inspiring beauty of the Smokey Mountains. Everything here is just quieter. Instead of car horns and sirens, there are birdsongs and rustling branches. Our only version of a traffic jam is getting stuck behind a tractor on a country road, and stop signs are relevant only when a police car is present (because there are rarely other cars at intersections). If you don’t count my neighbor who tests the engine on his race car every day in the summer, life around here is a gentle conversation between two old ladies on a front porch. I don’t mean to insinuate anything about the folks who actually live in these places or do my definition of ‘cool’ things. I know many of them, and the ones who have settled into these vocations maintain a humility and passion that extends far beyond my egotistical motivations to do such work. It’s more about the gap between my own expectations of what meaningful life would look like, and what meaningful life actually is. My evangelical brothers and sisters would speak of the grace and truth of Christ as the most meaningful component of their lives. My liturgical brothers and sisters would highlight the mystery and majesty of God. My charismatic siblings would claim joy and redemption. I’m glad they’re all spot-on in their own ways, but also like to think the tangible ways meaning shows up, especially on a day like today (MLK day). Brave people – this week highlighted several of them for me. First, 37-year-old father, husband, brother, friend, actor lost his 3 month battle with an aggressive form of colon cancer this week. His friends gathered round to hold him up while he walked toward the world where dying is no more. Second, some friends of friends who are missionaries in Haiti. In the midst of surreal tragedy, a mother packed up five of her 7 children and sent them to safety in the States while she stayed to start clinics for the injured. And that’s not even to mention Martin Luther King Jr. and the faithful who carry his dream forward. Listening people – With my husband in his second year of a PhD program, this is our “long year” where we’re tying a bunch of knots and holding on for dear life. Over some tasty burritos last night, our weary souls were soothed by the listening ears and compassionate hearts of dear friends. Veiled beauty – even in spite of fog smothering our area for four days straight, I caught glimpse of a beautiful tree while driving home the other day. I wanted to take a picture, but didn’t, and the image has lingered in my mind since. Thankfully, lots of other people think things like this are pretty too, and I found some great photos online just like the scene I saw. Somehow, it reminds me of the aforementioned Brave People. Quietness – being a holiday, the kids and I are off and home relaxing. The kids are busy imagining some great quest, and in my own little quiet space, I’m grateful to ponder everyone else’s great quests, including my own, unexpected as it may be. Sometimes, even though they can grow a bit repetitive, the quietness of these cornfields is terribly good for my soul. We don’t yet see things clearly. We’re squinting in a fog, peering through a mist. But it won’t be long before the weather clears and the sun shines bright! We’ll see it all then, see it all as clearly as God sees us, knowing him directly just as he knows us! But for right now, until that completeness, we have three things to do to lead us toward that consummation: Trust steadily in God, hope unswervingly, love extravagantly. Yes, dreams don’t always meet with reality very well. In some cases, fulfilling a dream isn’t all what we dreamt it too be like. Sometimes it is better not to live the dream and make the best of what one has now. We change overtime and so do our dreams.